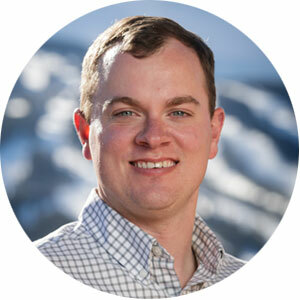 My name is Jeff Skinner and I’m a Realtor here in beautiful Summit County Colorado. Like many, I was drawn here by the mountains and their allure of endless activity, beauty, and excitement. Growing up in South Carolina, I was first introduced to the foothills and Blue Ridge Mountains around the upstate, but upon my first family trip to Colorado I knew that the Rockies were where I belonged. After a successful first winter working a resort job in the Mountains I was hooked, and needed to find a career; while Vail Resorts was wonderful I really craved a small business environment. By chance, I met a couple, Barb and Todd Rankin, that had been successful in Real Estate, and they decided to take me under their wing at their company, Cornerstone Real Estate. I worked as their assistant for over a year, learning as much as I could about buying, selling, negotiating, marketing, and how to help clients reach their goals. In May of 2014, I earned my Real Estate license, and started my own journey as a Realtor. As always, I maintain a stern commitment to customer service and work hard for my clients. Now, I get to enjoy Summit County as a resident, and also get to help others enjoy Summit County however they would like. If you have any questions about Summit County, our mountains, the mountain lifestyle, Real Estate, and how I can help you reach your goals… I’d love to talk to you anytime.